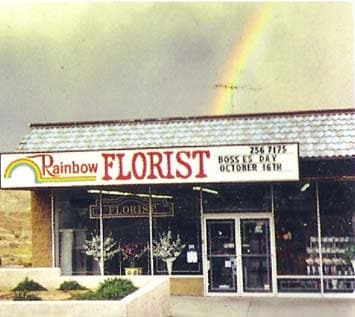 Rainbow Florist has been proudly serving Barstow since 1984. We are family owned and operated... committed to offering only the finest floral arrangements and gifts. Our service is friendly and prompt. Our design staff: Bonnie with 23 years experience Margaret & Savannah are ready to help you choose the right arrangement for your gift. Savannah will deliver it with a smile. Let Rainbow Florist be your first choice for flowers. *Our shop is open from 9:00 a.m. to 5:30 p.m., Monday through Friday and from 9:00 a.m. to 3:00 p.m. on Saturday. We are closed on Sundays, but with notice, we can delivery funerals. If you have any questions or need more information, call us directly at (800)932-6744. 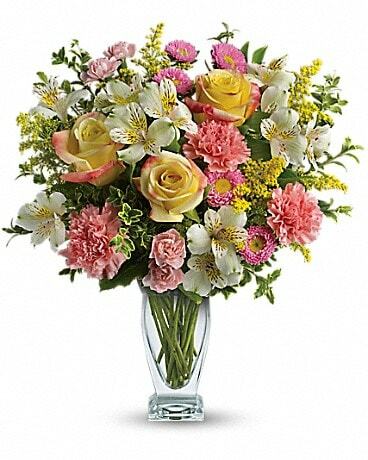 If you have a specific color choice and/or flower choice, please call us for availabiilty. Thank you. U.S. orders must be received before 2:00 p.m. in the recipient's time zone to assure same-day delivery. Orders received after that time will be delivered the following day. We will do our best to accommodate deliveries at specific times of day, but we cannot guarantee it. We are unable to make deliveries on Sundays except for funerals. Deliveries requested on this day for other occasions will be delivered Saturday or Monday. Delivery of orders to rural route addresses or cemeteries cannot be guaranteed.